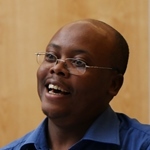 Badru Bukenya is a lecturer at Makerere University, Kampala, Uganda, in the Department of Social Work and Social Administration. He is also a Research Associate at ESID, the University of Manchester. Badru’s research interests include civil society; the politics of service delivery; state and citizenship-building; and governance of natural resources. B. Bukenya and F. Golooba-Mutebi (2019). ‘Political settlements and the delivery of maternal health services in rural Uganda‘, ESID Working Paper No. 113. Manchester. B. Bukenya and W. Muhumuza (2017). ‘The politics of core public sector reform in Uganda: Behind the facade‘, ESID Working Paper No. 85. Manchester. S. Hickey and B. Bukenya (2015). ‘The politics of promoting social cash transfers in Uganda‘, ESID Working Paper No. 69. Manchester. Hickey, S. with Bukenya, B., Izama, A. and Kizito, W. (2015). ‘The political settlement and oil in Uganda‘, ESID Working Paper No. 48. Manchester. Bukenya, B. and Yanguas, P. (2013). ‘Building state capacity for inclusive development. The politics of public sector reform‘. ESID Working Paper No. 25. Manchester. Bukenya, B. (2013). ‘Are service-delivery NGOs building state capacity in the global South? Experiences from HIV/AIDS programmes in rural Uganda‘. ESID Working Paper No. 22. Manchester. Bukenya, B. (2017). ‘Are service‐delivery NGOs building state capacity in the Global South? Experiences from HIV/AIDS programmes in rural Uganda‘. Development Policy Review 36(1): 0378-0399. Hickey. S., Sen, K. and Bukenya, B. (eds.) (2014). The Politics of Inclusive Development: Interrogating the Evidence. Oxford University Press. Bukenya, B. and Hickey, S. (2014). ‘NGOs, civil society and development in Africa‘. In: Obadare, E. B. (ed.) Handbook of Civil Society in Africa. New York; London: Springer. Find Badru via the University of Makerere website.